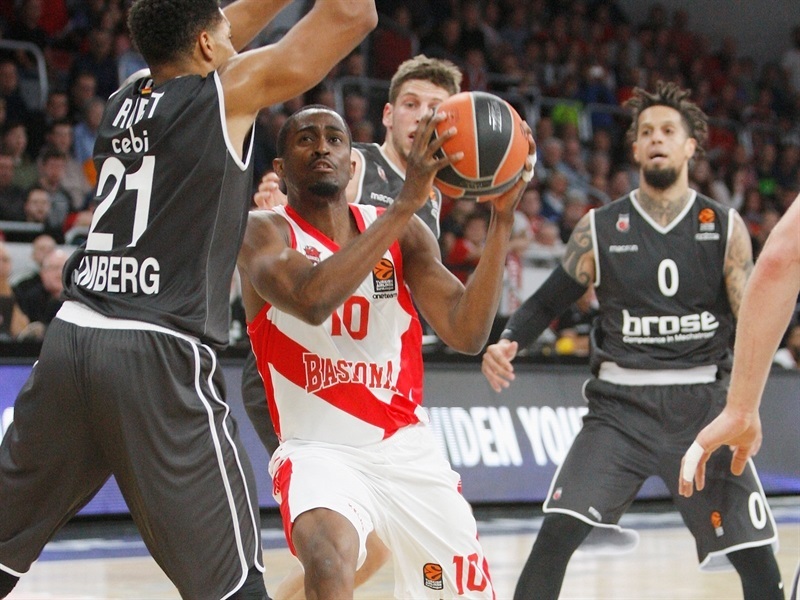 Brose Bamberg picked up its second win of the week with a deserved 78-72 victory over Baskonia Vitoria Gasteiz, improving its record to 2-2 while Baskonia remains winless at 0-4. 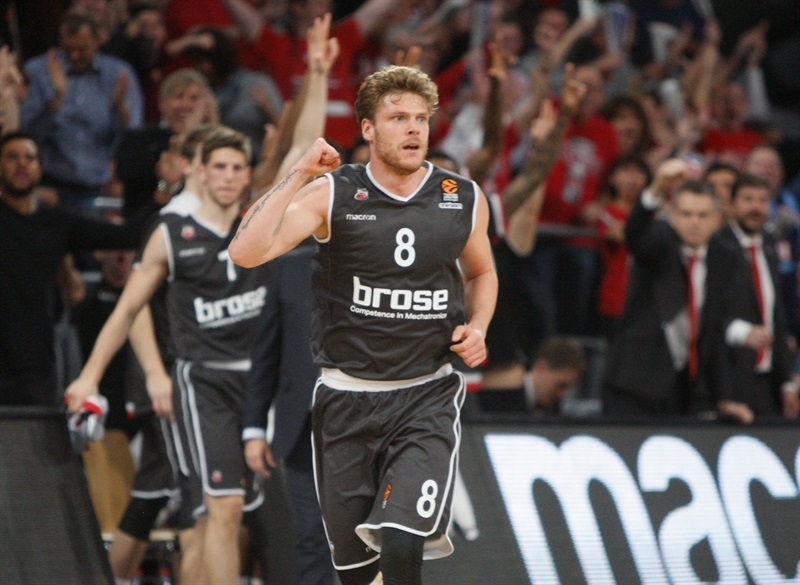 Lucca Staiger’s second quarter triples sent Bamberg ahead and the hosts never trailed from that moment, with Dorell Wright making an ample second half contribution on his debut just days after signing. Wright finished with 13 points, 5 rebounds and 4 blocked shots, while Staiger added 12 points in triples and Leon Radosevic dominated the paint with 12 points, 4 rebounds and 2 blocked shots. 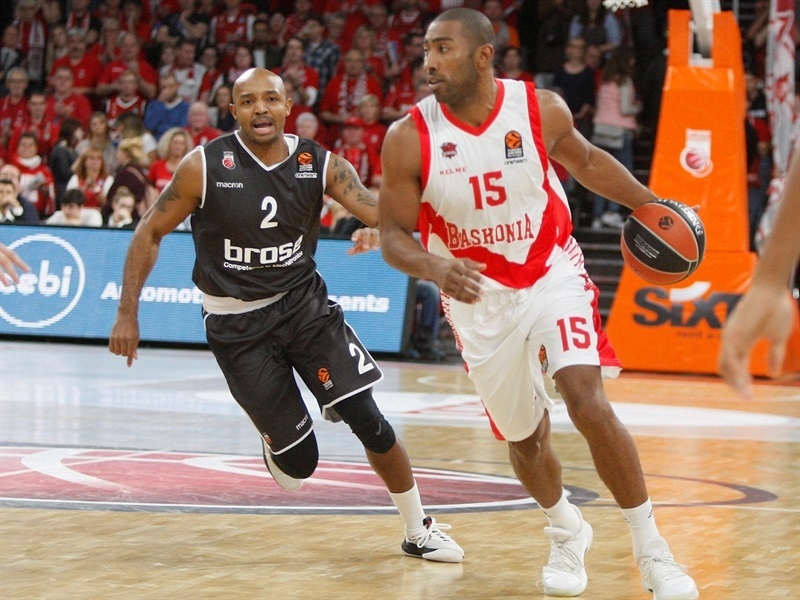 Bamberg also had 11 points and 7 assists from floor general Maodo Lo. 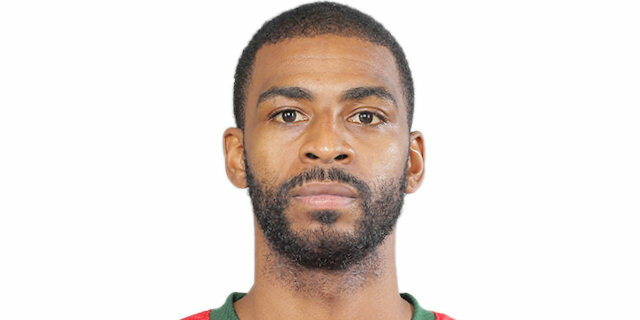 Baskonia was led by its backcourt trio, with Jayson Granger scoring 16 points, Rodrigue Beaubois 14 and Marcelinho Huertas 12. 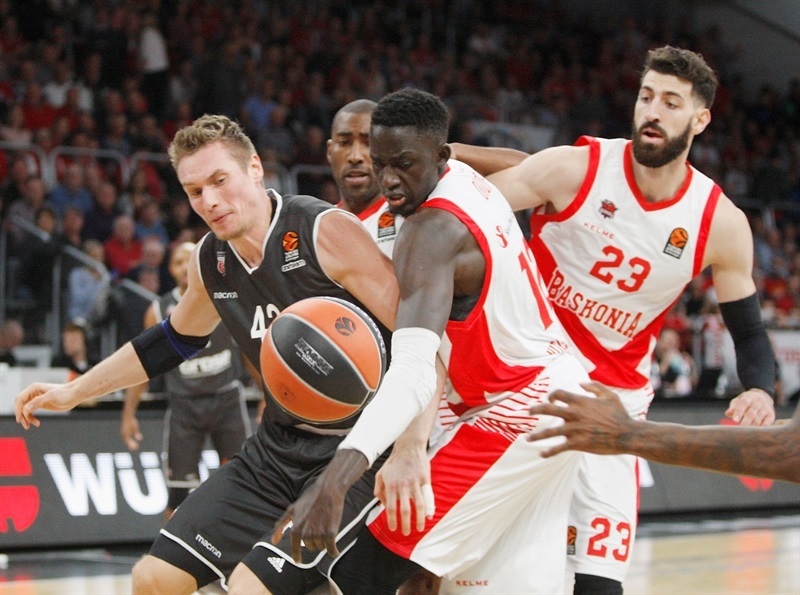 Radosevic and Granger scored 4 apiece in the early stages before Beaubois hit the game’s first triple to send Baskonia ahead 8-11 midway through the first. 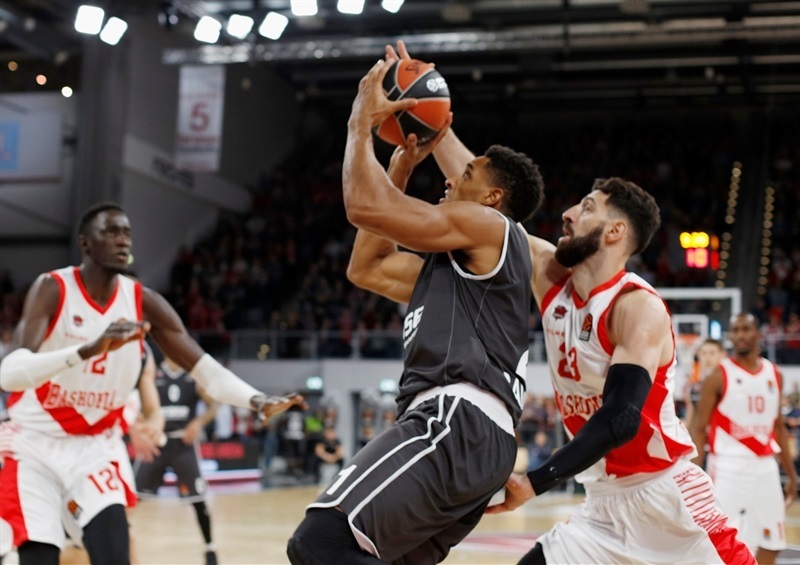 Good defense from Baskonia saw the visitors enjoy a 0-6 run, but Wright completed four point play less than a minute after coming off the bench for his debut as Bamberg came back with a 7-0 spurt to make it 17-17 at the end of the first quarter. Defenses were on top early in the second quarter, and neither team led by more a possession until back to back triples from Staiger made it 32-25. Granger replied with his own three-pointer but Staiger struck from downtown again and it was 35-32 at the break. 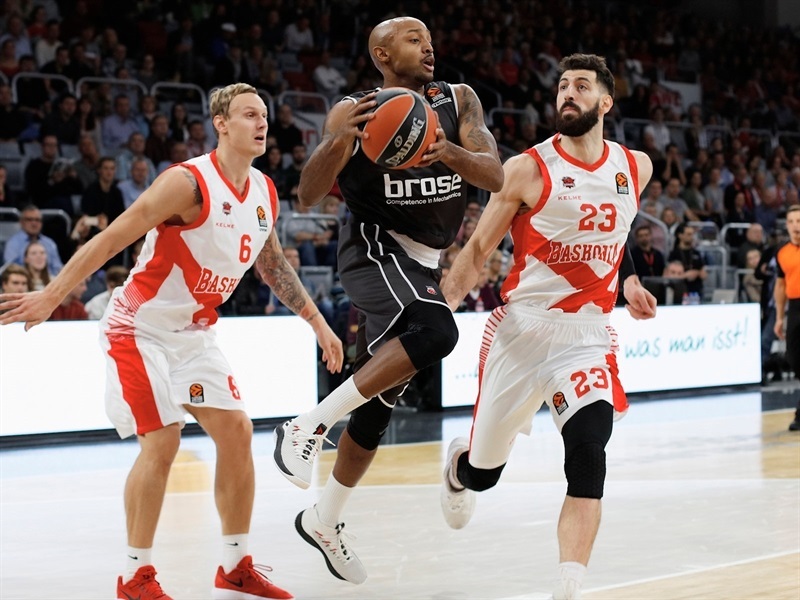 Daniel Hackett and Ricky Hickman started the third quarter with two more triples to give Bamberg a 9-point lead, but 5 consecutive points from Granger brought Baskonia back. 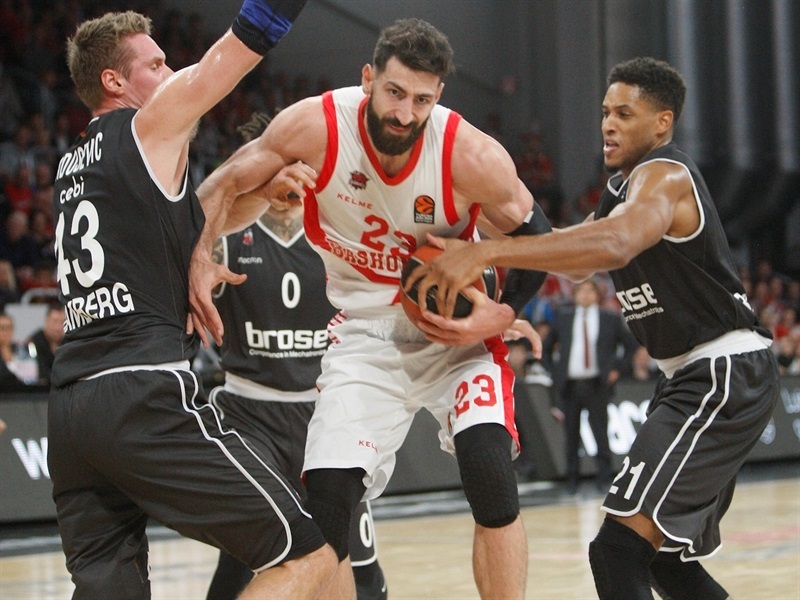 Bamberg’s reenergised offense soon stretched the lead back up to 8 points as Lo came off the bench with an assist for Wright and a lay-up, only for another Granger triple to spark Baskonia’s latest revival. Lo struck from downtown and Staiger reappeared to immediately do the same, and it was 60-51 with one quarter remaining. Wright’s lay-up took the lead into double figures, and although Granger hit another triple, Lo again struck from downtown before finding Radosevic for a lay-up to make it 69-57. Huertas scored 5 in a 0-7 run as Baskonia kept fighting, and Vincent Poirier’s lay-up made it 71-66 with three minutes remaining. 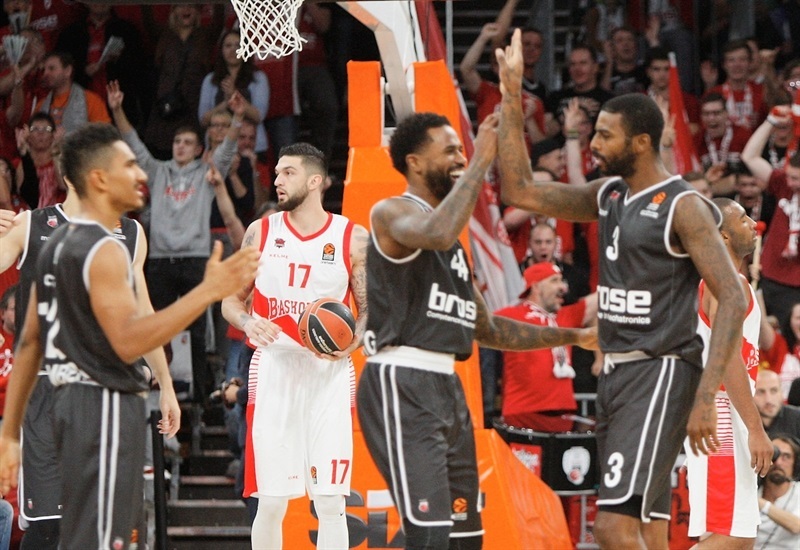 But Wright continued his influential debut by converting a corner three and then making a huge block on Poirier, and Baskonia couldn’t get close again.